Wow! 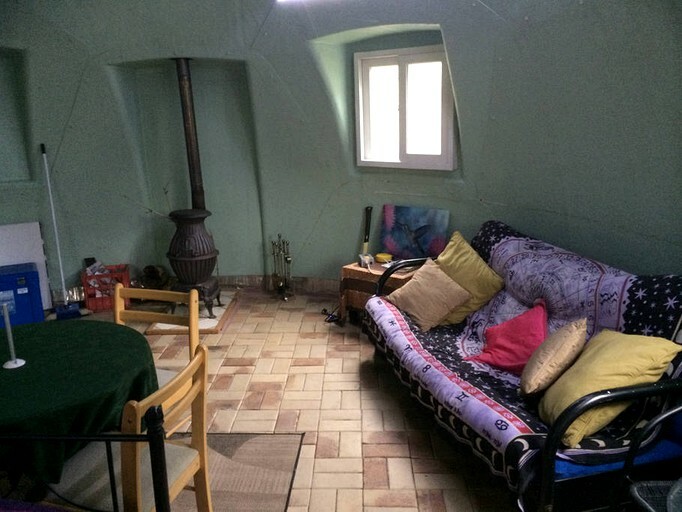 Amazing location, so much to explore, a comfortable accommodation and fantastic hosts. highly recommend! 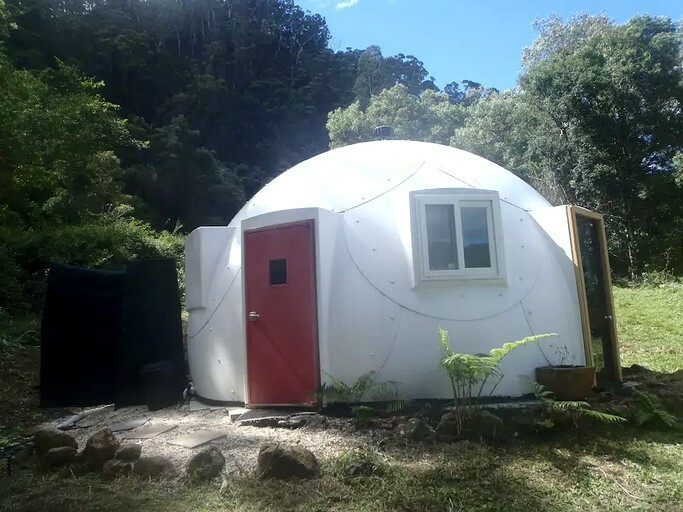 Located in its own private, secluded position, this dome is situated in Wilsons Creek, Australia within a 75 acre certified organic mountain rainforest property. 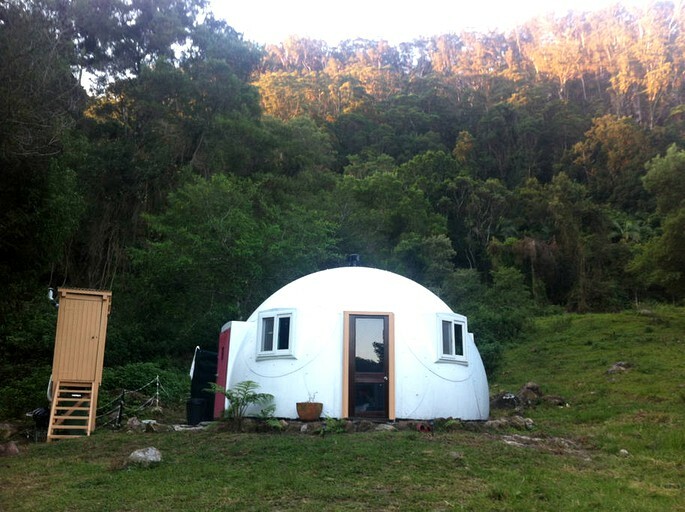 This "off-grid" dome backs onto subtropical rainforest and national park and overlooks forest and mountains across the valley. A small solar panel system powers lights, an inverter for 240 plug in for pedestal fan, and two large coolers, or eskys, are provided. 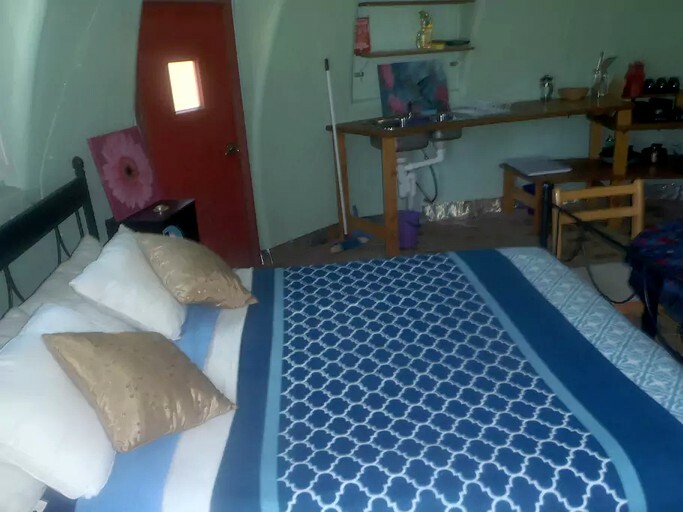 There is a queen-size bed with linen provided, a futon lounge, and small dining table. 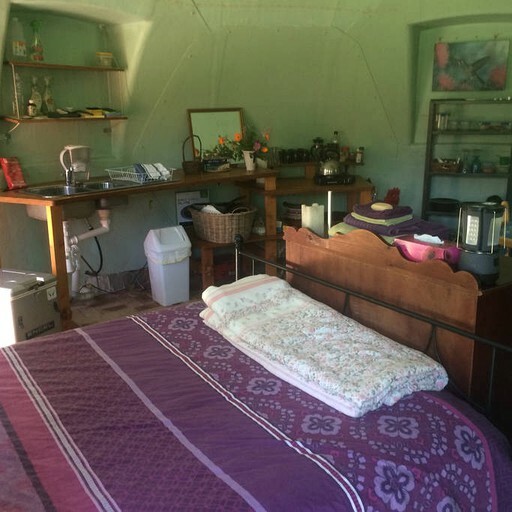 A small kitchen space with two camp gas cookers is self-contained, and a compost toilet and outdoor shower with hot water are all attached outside. A pot belly stove keeps things warm and toasty inside on a cold night. Pure rainforest spring water is gravity fed for drinking and showering. Guests will have access to everything they will need during a stay here. There is a small solar panel system that powers lights, an inverter for 240 plug in for pedestal fan, and two large eskys to keep food cool. 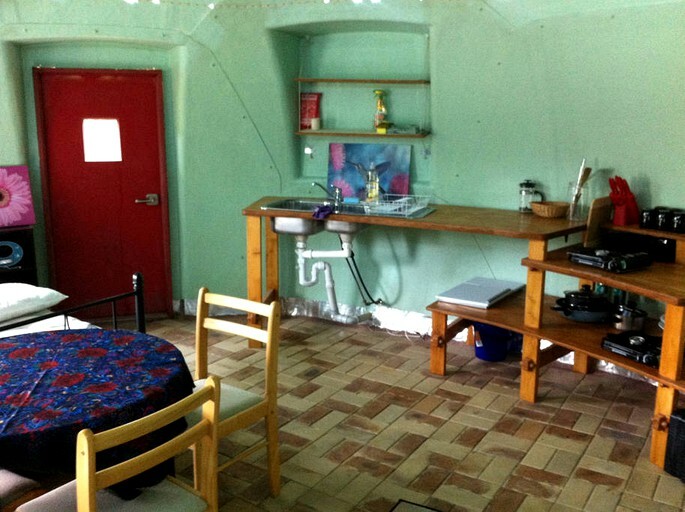 A small kitchen space with two camp gas cookers is self-contained, and a compost toilet and outdoor shower with hot water are all attached outside. 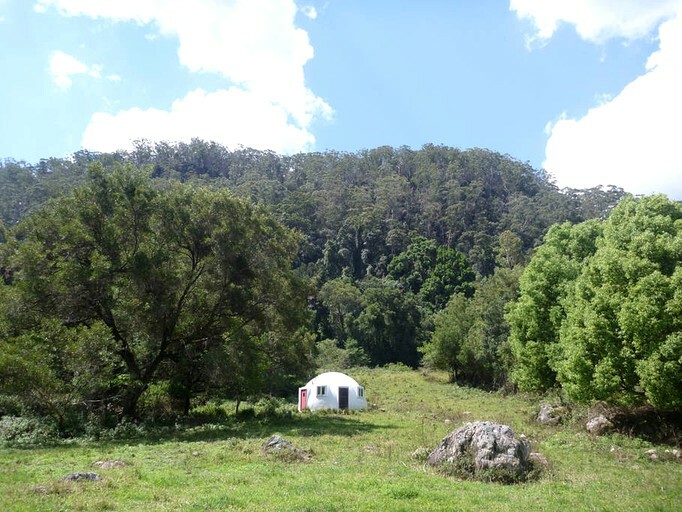 This property offers a mix of vegetable gardens, orchards, animals, and self-reliant permaculture systems which are spread out across the property along with some shorter walks and great views on-site. 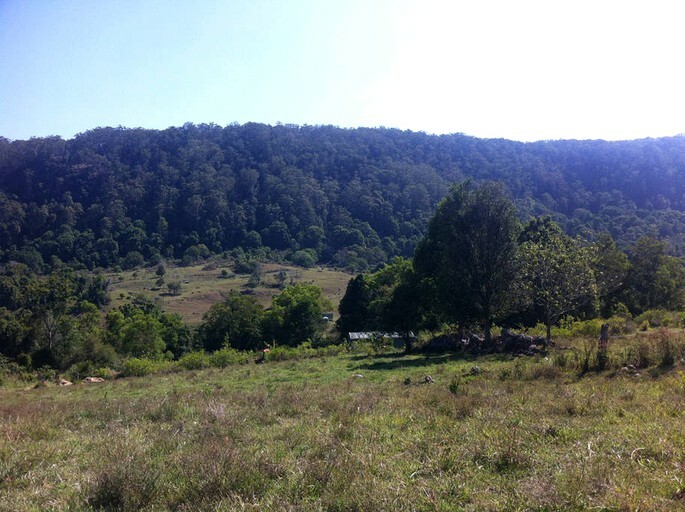 This 85-acre certified organic permaculture farm is located within a beautiful mountain rainforest valley, 10 minutes from the North Coast town of Mullumbimby in the Byron Bay hinterland of eastern Australia. Situated just 20 minutes from the river and oceanfront town of Brunswick Heads, north of Byron, this landscape is a mix of large open mountain plateaus with panoramic views and beautiful subtropical rainforest. 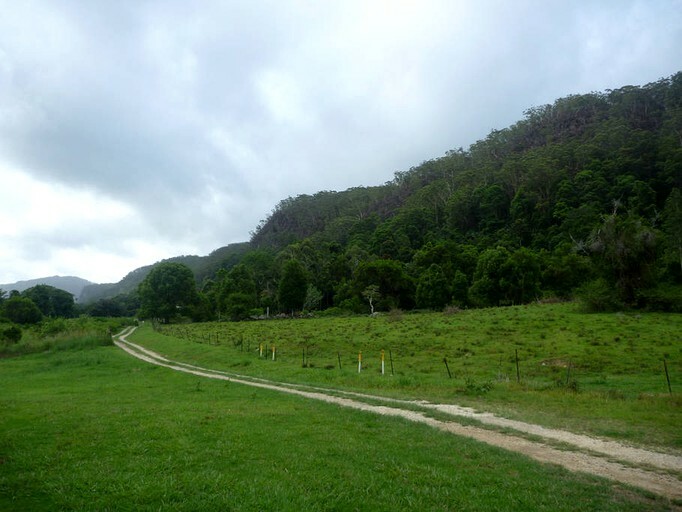 The surrounding valley has a number of creeks with beautiful freshwater swimming holes, national park, bush walks and lookouts with panoramic views. 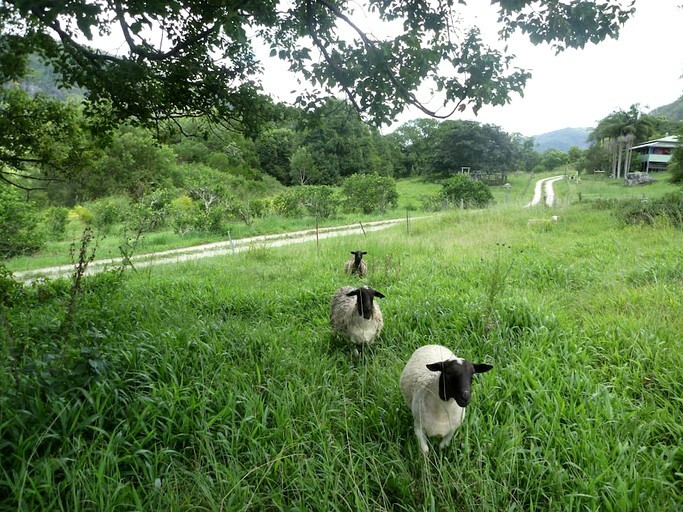 Organic gardens, orchard, acreage, animals, rainforest, and paths. The valley has beautiful scenery and a short drive further, it opens up to steep, wild rainforest and gorges. Around the area are fresh water creeks, swimming holes and various walks and bike rides. Just a 10 minute drive away, Mullumbimby is a colourful, vibrant, diverse town full of food, cafes, shops, and interesting people with the river and beautiful beaches of Brunswick Heads nearby. Access to this dome is via a grassy track through a paddock. This is usually fine for all cars but after heavy rain or ongoing rain, it can sometimes restrict two-wheel drive car access. If this is the case, cars can park off the property, about 200 meters off site. Buses run to and from Mullumbimby to Byron Bay, QLD, further west, and down to Sydney. From Mullumbimby, the only access to this location is by car. Check-in time is 2:00 pm. Smoking is not allowed inside this dome. Guests are advised that this property is BYO ice bags for cooler boxes to keep food cool.